Today the best selling camcorders on the market aren’t the fancy high-end models costing tons of money, but the easy to use and low price models like the line from Flip. 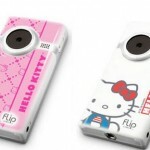 Flip’s line of Mino and other camcorders are among the most popular you will find and make it easy for people to record video and upload them to sites like YouTube and others. The catch is that while the Flip camcorders can record HD quality video, the devices have sound that isn’t as good as their video quality. 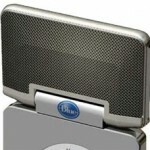 The fix for the sound quality is here from Blue Microphones. Blue makes mics for all manner of uses from the PC to professional musicians to use in recording studios and live events. The latest new offering for the company is the Mikey for Flip microphone. 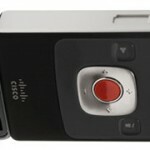 The Mikey for Flip connects to the camcorders FlipPort and can record stereo sound using Blue’s stereo capsules. All the user has to do is plug the Mikey in and it is ready to go. The Mikey also has a line-in for connecting other mics for interviews. Power comes from an AAA battery and the sensitivity switching is automatic with a button for loud environments. 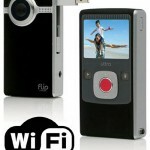 Flip video cameras to get Wi-Fi?